A friend, an officer at the Armed Forces of the Philippines (AFP), commented to my posting last week, Corruption in the military. I am posting his 2 emails to me, I only removed his name, position and a few lines that will pinpoint to his identity. My comments to his points in my next posting. For now, I want to clarify -- I have apologized to him already -- about my earlier statement in the said article where I wrote, "I firmly believe that the military institution is deeply corrupt". It was my fault that I did not clarify that not everyone in the military is corrupt, that there are plenty of good and well-meaning officers and soldiers in that institution. But large-scale robbery scandals by some of its top leadership are enough to smear the entire institution because they are the leaders of that institution. Below is his letter. The two logos, I just added them here. Allow me to address you by that name, and please allow me to react a bit on your article. Am sure you won't mind hearing from the one who's within the organization himself. Foremost is my assurance that I respect your views on the issue, and I could only share your frustration about it. Of course I am not to deny it, what organization is immune to it anyway? And I am not justifying it either. In fact I despise it. But if the President is corrupt, I won't say the whole government is corrupt in the same way. It would be unfair to Mr Right who's been fair all the way. I could still remember the remark made by a classmate when we were still Lieutenants about a corrupt Commander. "Ang mahirap kasi bok wala pa namang napa-firing squad sa corruption". That was in the mid 80's and indeed until now I havent heard of anyone shot, much less jailed, for corruption. Correct me if am wrong, pero meron na nga ba? If anybody will be allowed to just shoot at will any corrupt person, and just be punished "distierro" in return, ang dami na siguro namatay at mas marami nagdalawang isip mangwalahiya sa di nila pag-aari. Seriously, I guess the problem lies in the way we handle these cases. I am not a lawyer (and am glad am not) but any rational individual doesn't need a law degree to just wonder what happened to Estrada's plunder cases, the Arroyos' NBN ZTE deal and a truckload of other anomalous cases, I just hope the Reyes, Ligot and Garcia cases will not be lost in the four corners of the senate's walls, where lots of purported intelligent peoples are obviously simply grandstanding. At my rank, I still drive an old 90s car, still line up at the different lending institutions to file loan for my kids tuition fees, and find pleasure to be able to treat my family once in a while to some cheap fastfood/QSR, to think that I've been a battalion commander in the mineral-rich part of Mindanao, received half a million quarterly battalion funds for a few years, and returned P3+ million in unliquidated CAFGU allowances back to the government coffers. I guess it would not be fair (for me) to be generalized as corrupt. In the first place, with what happened, the military was at the losing end because its the military's money that was lost, money that could have been used to send bleeding soldiers to a better hospital to get better chances of surviving. Behind all these, I still believe there's a bit of hope for the Philippines, for the government, for the military. Positive change is not as elusive as we think it is. We can all make a difference. To start with, let us establish the fact that there is corruption everywhere, not just the military. The fundamental question that needs to be answered, is why corruption happens, aside of course from what they say that lust for wealth and fortune is human nature. Bakit nga ba nagkakaroon ng corruption in the military? Unlike Garcia, Ligot and Rabusa, comptrollership is not my line. I am an infantry officer throughout and my specialization is merely to lead men in battle. But hearing from the comptrollers themselves, I can say without doubt that corruption stems from a flawed system called conversion. Am sure you are familiar with it but still allow me to give you a concrete example of how the system works. As I told you before, I’ve been a battalion commander receiving about half a million funds per quarter. Strictly speaking, my unit should receive supplies and equipment in equivalent amount to support the operations of my unit. It should be good if the logistics planners are really that proficient enough to anticipate what my unit would need over the next 3 months. Unfortunately they’re not and that’s where the problem begins. They give us engine parts but it’s the brake system that fails. They give us papers but it’s the printer that breaks. Its where conversion comes in. At my higher unit from where funds were channeled, we were given supports in cash, less 15% for clearing. It was not a matter of choice actually but a matter of practice. Simply stated, “here’s 85K out of your 100K logistics fund, buy whatever you want and we’ll use your 15K to clear”. Absolutely crazy for me but good for those having personal interest in cleared 85K without further accountability! And what’s the withheld 15K for? 3% VAT for the amount to be placed in bogus receipts, a portion for the boss’ contingency, a portion to the different offices that processes the clearing papers, including COA! One time I received a written directive from the Army that P270+K is being released to my unit to buy communications equipment for my detachments. During the liquidation process, my supply officer was told that the account fund was for “repair and maintenance” so we should give COA receipts for parts and repairs. I went to see COA and showed them the directive telling me that I should buy radios and not for repairs. I was told, yes, but the account code used in releasing the money was for repair, so I should “produce” receipt for repair. “So you’re telling me to give you a bogus receipt for repair when you know for a fact that I bought actual units?” I was bluntly told yes, so yes I did. When the clearing papers were completed, my disbursing officer told me we have to give “something” to the COA so our papers will be processed. I felt like I just want to ram the papers down their throat! 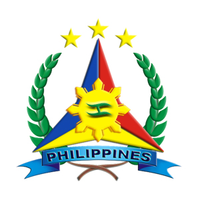 As an institution, the AFP is not bereft with measures to instill integrity and professionalism in the service. It's part of every curriculum, from the pre-entry to all other courses we take along the way. Value formation is a major undertaking in military affairs. At the end of the line, it’s the person himself that matters. No matter how good the foundation is, exposure and open opportunity sometimes erodes the cemented will to resist. The door to temptation is left wide open and inviting to come in. As I said before, tinyente pa lang ako, wala pa kong narinig na na-firing squad sa corruption. Malapit na ko mag-retire, wala pa rin. Eh papano nga naman matatakot? Of course I don’t mean that literally, but the message is there. Prosecute the offenders as deterrence for others. At the same time, the present system should be reviewed and shut the doors to temptation. I just hope Rabusa will not be another Lozada whose expose just went pfft. For the record, I don’t admire Rabusa because I am personally aware of his corrupt deeds. A lowly Lt Colonel amassing unimaginable wealth. I guess simply kicking him out of the service is not enough, he should be languishing in jail, together with those he is presently accusing. I fully agree with you that it is competition and not price control which can sustainably reduce drug prices. The government's role is to level the playing field so companies can compete. The problem now is there is no regulatory level playing-field. The FDA conducts cGMP audit and ensures compliance (which it should) among local drug manufacturers, but it does not even inspect facilities in other countries like India. I find this reckless... I have visited India to meet various companies and look at their facilities. A lot of Indian companies have excellent facilities, some with USFDA, UKMHRA and EMEA certifications even. However, these companies are also complaining because quite a number of companies which will never pass any cGMP inspection are able to register and sell their products in the Philippines. At the very least, the FDA should inspect those coming from non-PICS countries to ensure cGMP compliance and thus ensure a level playing field. To their credit, FDA has long wanted to conduct such audits, but for whatever reason they have been unable to do so. The FDA needs our support so they can perform their functions without fear. As to GSK, I am happy with their current thrust of lowering their drug prices, but note that it was initially not voluntary for them (as with the rest of PHAP) as the threat of MRP was used against them. In any case, competition has become very stiff in the pharma industry, which is good and is what should be. The private sector continues to find ways to have products that are low in price but which do not compromise quality. As we have shown, it's doable. However, we are still waiting for government to do its part through PhilHealth. Everyone agrees that the next inflection point in pharma pricing is when PhilHealth uses its power (and money) as a third-party payor. It too is doable. All it takes is a firm resolve and working with stakeholders who can help them. I thanked my friend for allowing me to post his comments, minus his name and affiliation. The mad rush for "cheaper medicines at all cost" can often backfire as we might be getting super-cheap but super-ineffective drugs. I read somewhere a comment that "the most expensive drugs are those that do not work or cannot cure." My friend added that "Technically, it's not parallel importation as many of the products which have been allowed to enter without cGMP audits are already off-patent or not patented here at all. They're also not the brands owned by other companies." So, what keeps the Food and Drugs Administration (FDA) from conducting wide compliance inspections of certificate of Good Manufacturing Practices (CGMP)? I remember during the 3rd MeTA-Philippines Forum last January 2010, FDA Director, Dr. Nancy Tacandong, shared during the open forum that they wanted to implement bio-equivalence testing for many drugs, but they got a temporary restraining order (TRO) to implement such. Although she did not mention publicly the party/ies who requested the TRO, I assume those are the guys who are importing or locally manufacturing just anything cheap drugs which are most likely candidates to be either counterfeit or substandard. I have repeatedly argued that to encourage more competition and hence, cheaper products -- medicines, food, cell phones, shoes, etc. -- government should respect market segmentation by competing players in each sector and sub-sector. Those players that produce really new and more useful products as a result of endless innovation and R&D, should be allowed to price their product at any level they wish. They have the right to recoup their huge investments, and they also have the right to commit business suicide if they price their new products too high so that only a few will buy. What is important is that consumers, the patients especially, should have lots of choices. From the most expensive to the cheapest drugs. Among the big news today is the robbery scandal involving Gen. Angelo Reyes -- former AFP Chief of Staff, former Defense (DND) Secretary, former Interior (DILG) Secretary, former Environment (DENR) Secretary, former Energy (DOE) Secretary, all during the 9 years of former President Gloria Arroyo. A retired lieutenant colonel on Thursday made a surprise appearance at the Senate... George Rabusa dropped a bombshell: that Angelo Reyes, a former Armed Forces chief of staff, received a send-off gift (“pabaon”) of “not less than” P50 million when he retired in 2001. Rabusa said he personally delivered the cash to the “White House,” Reyes’ then quarters at Camp Aguinaldo, that year. He said he was accompanied by the then military comptroller, Lt. Gen. Jacinto Ligot. On top of the purported “pabaon,” Reyes, who later became defense secretary, allegedly received a monthly take of at least P5 million—or around P100 million in his 20 months as AFP chief of staff. Rabusa said he and Ligot made the monthly deliveries. Needless to say, my blood boiled in anger upon reading this large-scale robbery in government. 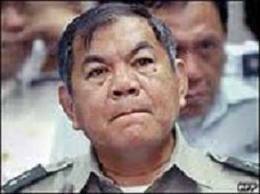 It wasn't long that Gen. Carlos Garcia, in this picture, was somehow taken off the hook where his crime of stealing several hundred million pesos of AFP fund, or better year, tax money, has been downgraded by returning a portion of the huge amount stolen. I have always suspected that Gen. Angelo Reyes is super-corrupt, given the various cabinet positions that he assumed under a super-corrupt past President, Gloria Arroyo. But government operates in secrecy always, especially involving huge amount of robbery and plunder, so getting evidence is not easy. Insider whistle-blowers provide the short-cut in gathering evidence. when millions of pesos are delivered to you by your subordinates who you put in charge of the army's funds, your acceptance of this funds indicates your participation in a conspiracy. This is true even if you did not order them to give you cash. Unless of course you claim that you did not have the levels of understanding required to become chief of staff of the armed forces. Amen to that. Someone observed, "The problem also lies in the HUGE "Intelligence" Funds of the different line agencies, including the Office of the President, specially the military, are NOT subject to budget analysis during hearings, may be disbursed in a manner not subject to COA audit." Yes, the BIG problem is that the BIG government, from the OP to DND, AFP, PNP, DepEd, to the Legislative, is a BIG secretive institution where transparency only appears on paper. Just ask for instance how many foreign travels those officials from different agencies make each year, to where and for what purpose, how much was spent, and you get a black hole answer. The more armed the agency, the more secretive it is, so the volume of corruption and robbery in those agencies should be bigger than the rest. F___ the corruption and robbery in the AFP, DND and other government agencies! From Gen. Garcia to Gen. Reyes to many other retired AFP generals, some of those corrupt officials suddenly have amnesia if they received huge money or not. Litse kayong mga kawatan sa gobyerno o! A friend suggested that the Lord will get those corrupt officials later. The problem is that before the Lord will get them, they already get a portion of my money, money that should have been for my children, not for those thieves. Someone suggested that the rebels become stronger because of the corruption in the AFP. I don't think there is a need to bring in the (communist and secessionist) rebels in the current discussion because they too, have their own share of corruption, arrogance and robbery. We should not beleve people who use arms and violence to pursue their political agenda, they are all dangerous. For me, ALL armed groups, from the government forces to rebels to private armies, are big institutions of coercion, violence and terrorism. I would accept that the state should have an armed forces to neutralize criminal armed groups and individuals. But having a huge bureaucracy of armed personnel to possibly reach 200,000, something is wrong there. Why do those people and politicians need huge armies and guns? There are so many peaceful avenues to debate on issues. Those who have guns just want to make sure that if they lose the public debate, guns will take over. So they always win, like those thieves in government. With the renewed scandals of robbery at the AFP/DND, those who push for bigger tax money for these institutions can forget expecting public support. I firmly believe that the military institution is deeply corrupt, the number of guns and bombs there are directly related to the level of corruption in that institution. To help improve, somehow, the image of the AFP and DND, Gen. Reyes and others implicated in the current scandals should go to jail first. Then there will be some public trust that the rule of law, not the rule of men, prevails somehow in the country. What to do with the seemingly endless corruption in government? Most governments around the world just exist for large-scale racket. Robbery and plunder in many poorer countries are high because the rule of law is a farce. "Stealing is a crime" applies only to ordinary people, but not to those in government or civilians with connections in many government agencies. What to do? Don't allow governments to expand, don't support their "new programs". Once a bureaucracy is created, its first move is how to expand and entrench itself, it won't ever die. With so many corrupt and inefficienciet agencies and government personnel, can we still single them out? Not possible. If wastes, inefficiencies and corruption are widespread, it will be unfair to single out a few personnel and agencies. Government should shrink first, so that accountability will be easier to implement. And there is no need to create new bureaucracies either. There are existing laws against corruption and robbery. They only need to be implemented. The law against stealing should apply to all, no exception. Singapore and its Big Brother government, to me, has been sort of an oxymoron of a "free market state." It is considered a free market economy because of its consistent high ranking in the Economic Freedom of the World (EFW) annual reports done by the Fraser Institute, the Index of Economic Freedom (IEF) annual reports by the Heritage Foundation and Wall Street Journal, Doing Business annual reports by the WB-IFC, and many others. Those reports are saying that it is much easy to do business, that there is less bureaucracy in Singapore, there is free trade, etc. Singapore and Hong Kong always trail each other in the top spot of those annual economic freedom reports. But Singapore also has a politically harsh, single party state. Public criticism of the government and its top officials within Singapore is not easy. Individual expression of political and economic views that are harshly critical of the Singaporean government is very limited. A number of my Filipino friends who are working in Singapore say that it is a micro-managed economy. * To provide liberal and libertarian worldviews. 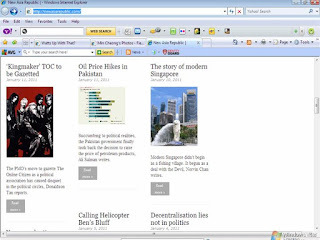 * To provide liberal and libertarian perspectives on Singapore. * To provide liberal and libertarian perspectives on ASEAN. * To act as an online platform for liberals and libertarians in Singapore to self-organise offline. 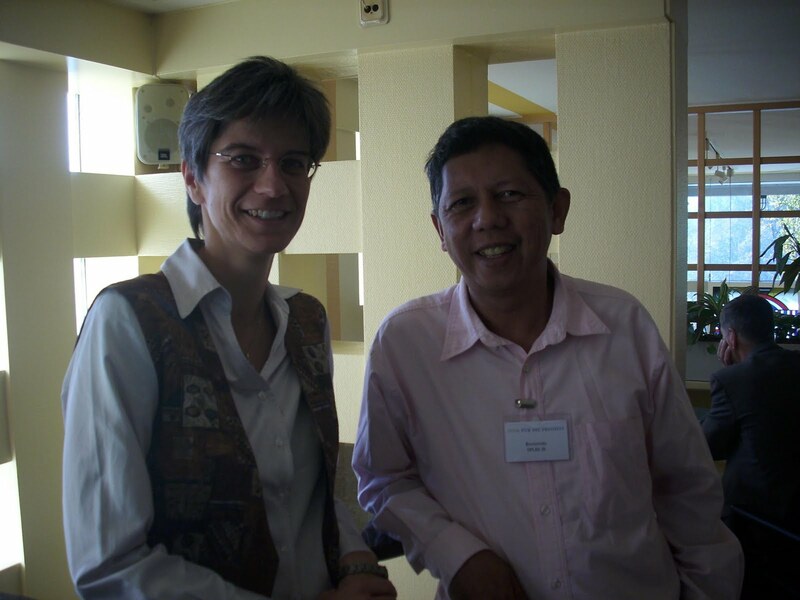 Then I was able to trace and befriend its editor, Donaldson Tan. 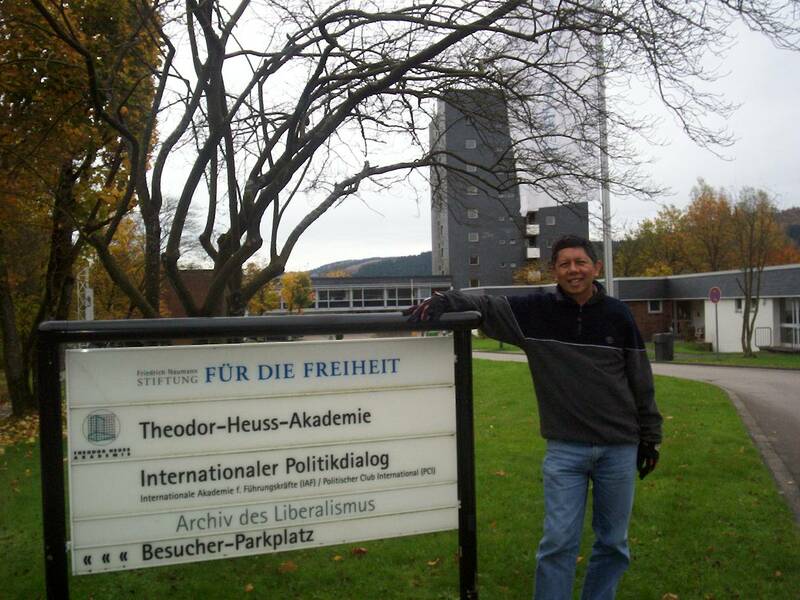 We became friends in facebook and in the Asian Liberty Forum (arbm2phuket@yahoogroups) that I moderate. Last Monday, I went to Singapore for a meeting with some fellow free market leaders in Asia and London. That night, I met up with Donaldson and his NAR team. I was glad to see so many young writers and libertarians in that state. Donaldson is 2nd from right, beside him is Min Cheong, the energetic young lady who is NAR's special projects manager. Behind Donaldson are Say Peng, Christopher Pang, and Quek Dingfeng. To my right are Philip Stevens (from London) and his wife Debbie, to my left are Xingyuan Feng and Fu Weigang (from China). It was a good meeting. We met at an Indonesian restaurant at Lucky Plaza, and that mall has lots of Filipino shops, restaurant, remittance center, etc. Being an advocate of more individual freedom, more free market economy, more free trade, small and limited government, I try to seek new friends in the Philippines and abroad who share similar views with me. I was happy to meet them last Monday in Singapore. Singapore – Short-term health containment measures by governments like drug price control , have long-term costs to patients and the public. This is mainly in the form of non-launch or launch delay of new and more powerful, more disease killer drugs and vaccines by the innovator pharma companies, to countries which have price control, compulsory licensing and related policies. That was the conclusion of a paper presented by Prof. Julian Morris, a professor at the University of Buckingham in London, and President of the International Policy Network (IPN), also in London. A number of leaders of free market think tanks from China, India, Malaysia, Thailand and Indonesia also came. I attended the Think Tanks’ IPR meeting held yesterday at Hyatt Hotel here in Singapore. The other speakers in the meeting-seminar were Philip Stevens, previously with IPN and now an independent consultant, Dr. Amir Ullah Khan, Dean and Director of Research, Bangalore Management Academy in India, and myself. My presentation was entitled “Politics of health cost containment: Philippines” and I talked among others, the country’s year and a half experience in drug price control since it was imposed in mid-August 2009. I went to the DOH website and found these quotes from Sec. Enrique Ona’s speeches. So, if drug price control policy did not attain its objective – making effective branded drugs by some multinational pharma be more affordable to the poor, even if there are cheaper generics available for the same drug molecules – why was the policy not withrawn to remove the business and health uncertainties it has created? Related to the paper by Prof. Morris, the long-term damage to the Philippines’ health and foreign investment climate has been set. New, more disease-killer but patented drugs will be made available in Singapore, Hong Kong, S. Korea, etc. but not in the Philippines. Producers of such more effective drugs will delay bringing them to the country until perhaps the patent is about to expire. So Filipino patients desperate to get such new drugs and treatment will have to travel to other countries where those new drugs are available because there is no threat of price control or compulsory licensing there. On the second statement, if communicable diseases like TB, malaria and HIV are no longer the main killer diseases in the country, rather the “lifestyle diseases” are, why should government pour huge tax money and dictate drug prices on treatment against lifestyle diseases? Now that policy is hardly discussed in the country anymore. People and industry players, from multinational to local pharma, drugstores, hospitals, and consumer groups and the public have accepted that the supposed short-term cost-containment measure has become a long-term form of intervention. The focus of public discussions on the health sector is how to attain universal health care (UHC). Government focus is for PhilHealth membership to really reach 85 percent of the population, vs. current coverage of only about 30 to 35 percent, even after Philhealth has been around for the past 15 years or so. I have attended a number of seminars and conferences in Manila recently on UHC, especially those sponsored by MeTA-Philippines, the Coalition for Health Advocacy and Transparency (CHAT). I notice that private health insurance players were never invited as among the speakers. For me, health cost containment can be attained better if people will be encouraged to purchase their own private health insurance on top of mandatory Philhealth membership as most killer diseases are now lifestyle-related. Why? People who have lung cancer or throat cancer due to heavy smoking, those who have liver cancer due to heavy drinking, or those with bad hypertension and high cholesterol due to sedentary lifestyle and over-eating, should not pass the high cost of their treatment to the public and other Philhealth members, including those who take care of their body carefully. Because that would mean regular hike in the mandatory contributions to Philhealth. Those patients can draw from the Philhealth fund and from their private health insurance, in order to reduce out of pocket expenses. Indeed, short-term cost containment by governments often produce long-term costs that will ultimately hurt patients and the public themselves. 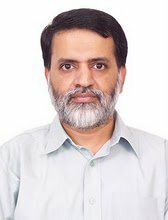 My article last February 2010 in this blog, Decentralization and privatization, was recently published in Business and Finance Review in Pakistan, under a slightly different title, Decentralisation, privatisation and local govts. I thanked Dr. Khalil Ahmad, the Executive Director of Alternate Solutions Institute, Pakistan's first and only free market think tank, based in Lahore. 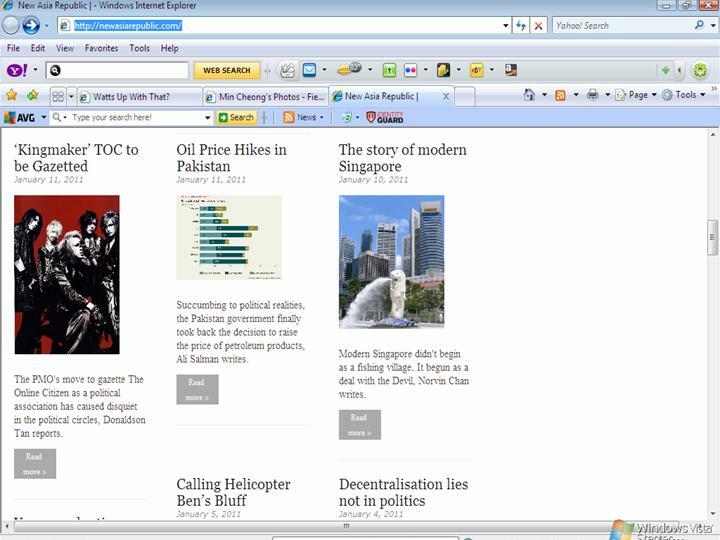 AS Institute has a syndication service where some free market articles from abroad are published in some local papers. 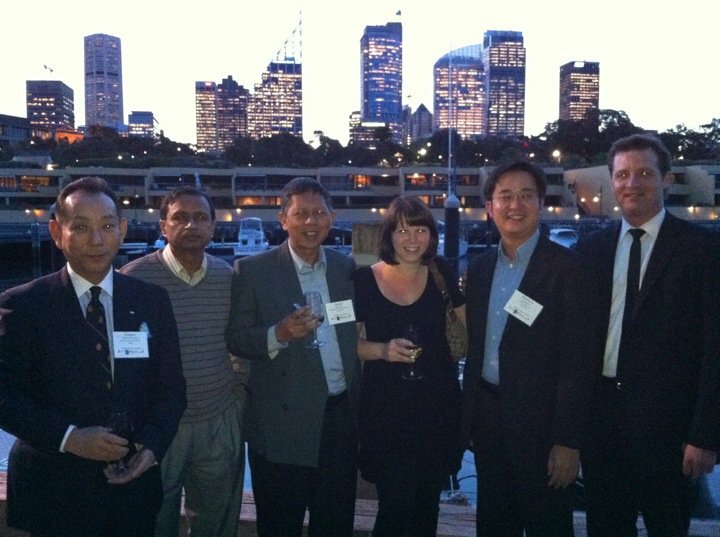 Khalil is 2nd from left in this picture, next to me, taken during the 4th Pacific Rim Policy Exchange in Sydney last September. And just now, I learned that Khalil also submitted the same article to another paper in Pakistan, published today in The Frontier Post, Decentralization and privatization. Thus, if the principle of subsidiarity is to be applied strictly, then most responsibilities should fall on private individuals, parents, firms, and citizens’ voluntary organisations, not on either national government or LGUs. This is part of a transition from decentralisation to privatisation. And by privatisation I do not mean the transfer of function from a government unit to a private corporation only. Not exactly. It can be an NGO, a cooperative, a sports and civic club, a church organisation, and so on. The concept of "privatization" has been hijacked by groups who oppose it, those who love more government intervention (local, national or multilateral institutions). The smallest unit of any private enterprise is the individual -- the individual entrepreneur, individual consumer, individual supplier. When individuals band together to form a corporation, that firm is still not a person. It is just a juridical entity that has its own legal identity and corporate brand. Thus, to "privatize garbage collection" does not mean that a private corporation alone should do that job as contracted by a local or national government unit. That function can be done by an NGO, say an environmental group, a civic organization, a cooperative, a church group, and so on. There are many functions that are currently done by national or local governments that are better left to private groups and institutions. When government bodies focus on too many functions, they tend to forget what they are really meant for -- to protect the citizens' right to liberty, right to private property, right to life. As "government responsibilities" expand, so are the taxes, fees, penalties, regulations, authorizations, prohibitions that they impose. So perhaps the operative term will be, "from decentralization to privatization, to more personal responsibility." And society will be more peaceful as the rent-seekers and spoiled brats will be deprived of power and resources to impose their egoism and irresponsibility on other people. Whenever the tasks and duties of the public on any level are being discussed, the influence of the principle of subsidiarity as well as the possibilities of decentralisation and privatisation come into the focus of attention. In short, the principle of subsidiarity means that the state and other entities of governmental administration should relieve private persons or organisations, as well as lower levels of state administration only of those tasks, which cannot be left to them without causing serious disadvantage for the community itself or for its members. The basic assumption is that the smaller community should become active first of all. The national level should get involved only in those cases when the use of its measures becomes inevitable. Regarding this regulation means protecting the individual's freedom from the state's tendency to regulate each and every aspect in the life of the citizens and the society. of the state. Entrepreneurial activity is looked upon as private initiative and is therefore considered a role model, because in this case the initiative of state entities is not required. These reflections are based on the general experience with public administrations. It frequently leads to the assumption that entrusting the fulfillment of tasks not to state authorities, but to the private sector offers the advantage of more efficiency and lower costs. The mechanisms of market economy usually force a company not only to constantly control its costs and minimise them whenever possible, but also to conquer new markets with innovative products and services. On the other hand the state is forced to engage in a constant comparison of costs and benefits in its economic activities to a far lesser extent, because possible losses can always be covered by public budgets, in other words, by taxes and fees. This experience can also be applied to the relations between the national level and lower levels – states, provinces, districts, cities and municipalities. Here, the term decentralisation can describe the fulfillment of tasks by the respective lower or even the lowest possible level. The responsibility for certain tasks is taken on by provinces or districts, even by cities or municipalities, instead of a central government. This way, tasks and duties are generally carried out more efficient, more concentrated on the needs of the citizen and more cost effective. By implementing a decentralized structure of government and administration, it is at the same time necessary to provide those entities carrying out specific tasks with sufficient financial and personal funding. Either it is by installing an own tax and fee system for this entity or by paying money for the respective tasks. The word privatisation is used in those cases, when duties of the cities or municipalities are transferred to the responsibility of private organisations, institutions or private companies. There is a general agreement that not all state tasks can be decentralized and privatized. For example, a province administration cannot be entrusted with the task of safeguarding national independence and defence of the country, the protection of public security and law and order will not be left to the single individuals or private companies. Yet there are developments, which also modify the quality of certain services and tasks as a result of technical or societal changes. For example, in former times the provision of fresh meat in the towns and cities of Germany was the duty of the state. For this reason slaughterhouses were managed by the municipalities. Due to technological development this system is obsolete today; functioning systems of frozen food transports put an end to the necessity of local meat production; supply was taken over by private companies. On the other hand there is undoubtedly a trend showing that the administrative authorities on all levels will always be striving to redefine tasks and thus keep these tasks to the municipal or state administration. The only results are the creation of excessive burdens for the state budgets. Therefore the fulfillment of tasks by state and municipal authorities must be subject to a continuous critical inspection which is called criticism of tasks. the public budgets, including the budgets of the municipalities. Another argument for criticism of tasks refers, similar to the simple rationalisation of administration, to the criticism of performance. It means the demand for the one-off or repeated scrutiny of executive measures, i.e. it deals with the question of how to fulfil the tasks of municipalities in a more effective way. Yet the need to fulfil them is not questioned at all. Within the framework of criticism of performance it is important, for instance, to determine the adequate requirements of trained staff and materials and to accelerate work routines. The criticism of aims, another approach, has a more fundamental effect. It is interested in examining each single task and questions it too. First it is to check whether this task is necessary to be carried out at all. If the answer is positive, the criticism of aims examines if this task should be carried out by public authorities or if it should be carried out by private players, regardless of whether these tasks are a burden for the public budgets or not. It is therefore obvious that the criticism of aims in particular is an essential mission of liberal local politics believing in private and civil engagement. This is not only for reasons of cost saving but also of effectiveness of societal tasks being carried out as close to the people and as much serving directly the needs of the people as possible. All governmental entities, including the local ones should be managed like businesses alsways trying to optimize work procedure for better quality for lower costs. Out of this consideration the liberals' claim for privatisation of public duties is understood not primarily as a relief for local budgets, but rather as a fundamental aspect of the role which the state and the municipalities play in the life of their citizens. Competition among market players, not heavy government coercion and regulations, will bring down average prices. Whether we are talking about coffee, tomatoes, rice, or medicines. Thus, government should encourage and attract more players and competitors in each sector and sub-sector, not scare and threaten them with existing and future restrictions and additional taxation. Some sectors would give more credit to the drug price control policy of the government (via the DOH) in 2009 for the decline in prices of many drugs. It is not true. Drug reductions have been happening much earlier than 2009, as more players, especially generic manufacturers, come in. For each successful and saleable drug whose patent has expired, there are many generic manufacturers, sometimes including the innovator companies themselves, who will produce new brands for the same drug molecule. The competition among them benefit the consumers and patients. There's a news today in BWorld about the experience of GSK. “The industry barely grew the past two years with sales just rising by just 2%,” GSK Philippines Managing Director Roberto C. Taboada said in an interview. The DOH has not sounded any new pronouncement of keeping or withrawing the drug price control policy. In such silence of policy announcement, the implication is that the DOH will continue the policy. The DOH will also continue to remain silent on continued double (or more) taxation of drugs which contribute to "expensive medicines" despite repeated mantra and slogan of "cheaper medicines." See Part 1 of this series and AsPac pharma market and government. About 11 years ago, "man-made warming" hypothesis predicted that there will be more mild winters, less snow, less cold days, in the planet. This is fine because this is consistent with the supposed predictive capacity of the AGW "theory". ...According to Dr David Viner, a senior research scientist at the climatic research unit (CRU) of the University of East Anglia,within a few years winter snowfall will become "a very rare and exciting event". These days, it's 180 degrees opposite. The "man-made warming" hypothesis is now saying that there will be more snow, more precipation and rains, more flooding. If this winter seems especially brutal, scientists say you're right. ABC News contacted 10 climate scientists to ask their take, if an extreme winter like the one we're having is the way of the future. The consensus? Global warming is playing a role by shifting weather patterns in unpredictable ways. Many say the forecast for the future calls for record-breaking precipitation and extreme temperatures year round. And that means winters with more snow. Now, how come that warming causes cooling? Here's a brief and cool explanation: "In a warmer world, more water evaporates from the ocean and more precipitation falls down from the sky." Great! One can also say, Cooling causes warming -- because in a cooler world, there is less water evaporation, less clouds, less precipation falling from the sky. This is treating the AGW as a religion, a faith-based discipline. Regardless of the climate data we have, warming or cooling, more snow or less snow, more rain or less rain, they are all due to man-made warming. Why worship it as a religion? Again, the ultimate goal, whether the planet is warming or cooling, remains the same: more government environmental regulations, more carbon and energy taxation, more climate loans, more carbon trading, more climate bureaucracies, more global climate meetings and junkets. A good friend, Barun Mitra, founder and Director of Liberty Institute in Delhi, India, will be in Manila this week. He will speak in a Population conference in Sulo Hotel, Quezon City. 2241 Sabio St., Don Chino Roces Ave. 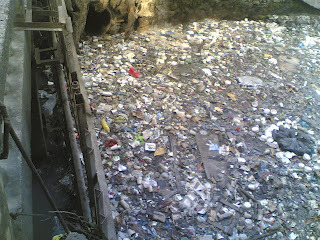 This is not far from from Magallanes interchange in Edsa. 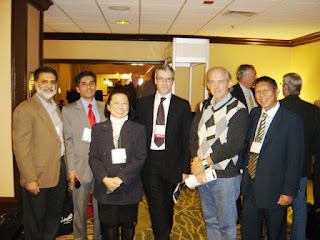 My picture with Barun last May 2010 in Chicago, during the Heartland's 4th International Conference on Climate Change (4th ICCC). Barun is a friendly and very intelligent, very articulate guy with clear loud voice. He can talk on many topics -- rule of law, philosophy of democracy, free trade, limited government, IPR and health, climate realism and policy, among others. This event is free, no registration fee, open to the public. If interested, kindly drop me a brief message at minimalgovernment@gmail.com, so we can have some headcount for the food. The Global Fund to fight AIDS, Tuberculosis and Malaria is the biggest foreign aid project in health that is focused on just 3 communicable diseases. It is funded by many governments, especially from the rich countries. There have been reports of corruption and robbery going on in the utilization of the Fund. I have read one paper sometime 2 years ago, that one health NGO in the Philippines was questioned by the Fund's internal audit system, for a lot of unexplained and/or unliquidated cash advances amounting to several million pesos. The fund, which has an overall budget of 21.7 billion dollars drawn from 150 countries, is the largest single source of funding for three of the world's biggest killer diseases. I wrote in March last year, Financial shenanigans by some Phil. health NGOs. The Philippine NGO referred there was the Tropical Disease Foundation (TDF). I do not know what happened to their case. Robbery in the use of such huge amount of money is highly probable. Taxpayers of rich countries who largely finance that Fund should pressure their governments to conduct strict monitoring and to call for an end to funding if past corruption and robberies were not corrected and the guilty parties were not penalized. Theory is an explanation of an observed reality or data that has been tested and re-tested so that most researchers and scientists have agreed to its validity. Meaning, theory and data always conform with each other. Hypothesis, on the other hand, is a proposed explanation of an observed reality, a statement that needs to be tested and proven for its validity. In short, hypothesis is an unproven and unverified theory. Thus, if new data contradict the previously accepted theory, the scientific discipline expects or requires that data must prevail, theory must give way, and it should revert back to a mere hypothesis, to be subjected to another round of tests and more tests. Skepticism is very much part of scientific discipline. A theory remains a theory so long as no major data contradicts it. If researchers and scientists do not practice skepticism, then they can be hoodwinked anytime by whoever are the first to proclaim that they formulated a particularly new theory. When researchers and people have already accepted an explanation as a theory, then they use that theory to predict future processes or behavior. The main use of a theory, therefore, is to explain past reality and future processes or events. Theory of gravity suggests that one should not jump from a tall building without a parachute or a huge net below, otherwise he/she will die. Whether there are 10 or 1 million attempts and “experiments” to test and possibly disprove it, the theory holds, 100 percent, zero contradictory data. Theory of supply and demand says that if supply declines while demand remains the same or declines at a lower proportion as the decline in supply, price will go up. A strong typhoon flooded and destroyed thousands of hectares of vegetable farms. If consumer demand for vegetable remains the same and if there is no big supply from abroad (imported vegetables) or from other provinces, vegetable prices will go up. So far all historical data show that this is correct. In the case of anthropogenic global warming (AGW) hypothesis, there are so many data that belie its claim and predictions. That proposition says that as more carbon dioxide (CO2) and other human greenhouse gases (GHGs) are emitted into the atmosphere, the world became warmer and will become even warmer in the future. There are at least two operative terms that have become consequences of AGW claims. One is “unprecedented warming”, meaning the past (or current, as they claim) warming has no precedent in the past, no period in the past thousand or more years was warmer than current warming. And two, “unequivocal warming”, meaning unmistakable, indisputable and definite warming. Thus, future warming is definite, 100 percent, with all the horrible consequences like ocean level rise by 0.6 to 6 meters (IPCC and Al Gore projections) if human GHGs emission like CO2 are not controlled and significantly reduced. There are at least four ways to test and validate all the above claims. (Click to see a larger image. More discussion of this graph from A regional approach to the medieval warm period and the little ice age) One is to dig credible historical climate data reconstruction and see if indeed, there was “no period in the past thousand or more years that were warmer than the past century’s warming.” Just one period (of several decades or hundreds of years) that can be shown to be warmer than the past century’s warming, then AGW is also discredited because there was practically no human GHGs emission then as there was no electricity and cars then. Three is check with existing theories in biology if indeed, CO2 is a “pollutant” gas that is harmful to humanity. And four, if the first two tests show negative correlation – when it should be positive – between human GHGs and global temperatures, then give alternative explanations like natural geophysical processes (the Sun, clouds, water vapor, volcanoes, GCRs, etc.) that can explain the variations and changes in global climate and temperatures. It will help perhaps to remind the public that the UN IPCC is a political and government body, not a scientific body that the UN projects it to be. That is why it is called the InterGOVERNMENTAL Panel on Climate Change. That is why the head of IPCC, Mr. Pachauri, is not a scientist; he is an economist. Governments and politicians always have bias for more political intervention. This includes new government environmental regulations, taxation, creation of new offices and bureaucracies, endless global meetings and agreements, and various foreign aid loans. This political bias and the huge UN and government research funding immediately impacts negatively on the supposed independence of researchers and scientists. And this makes the climate debate highly dependent on political debates. 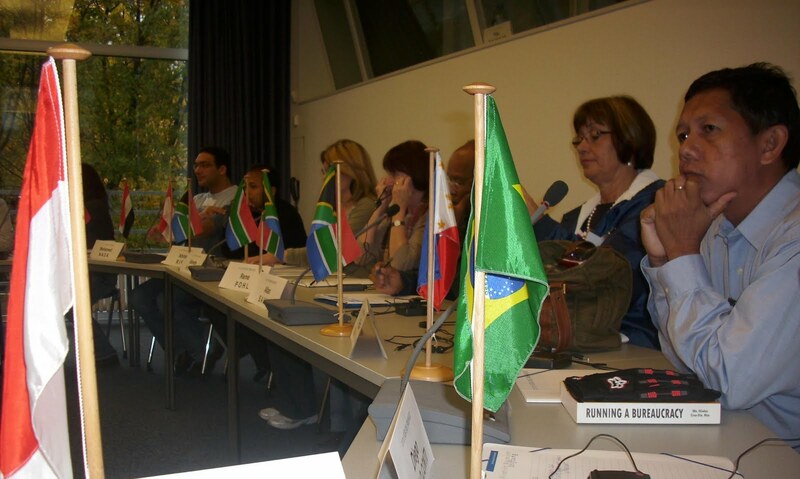 In late October 2008, I attended the International Academy for Leadership (IAF) of the Friedrich Naumann Foundation for Liberty (FNF) in Gummersbach, Germany. 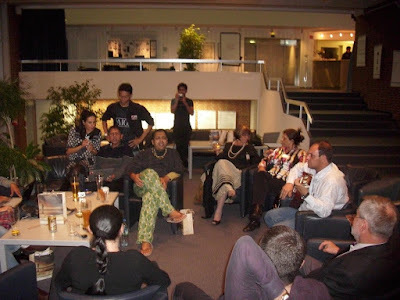 The IAF holds about a dozen seminars per year on different topics, each seminar about 8 to 14 days long. The seminar that I attended was on "Local Government and Civil Society." Here's our group picture, we were 24 from about 10 or 11 countries from Asia, South America, Africa and Eastern Europe. The venue was the Theodor Heuss Akademie (THA). It has complete facilities -- lecture rooms, meeting rooms, wide lobby, dining hall, internet area, library, 8-storeys dormitory, etc. The akademie is on top of a small hill. The city proper is below it. Gummersbach is a small and hilly city in the state of North Rhine-Westphalia, the richest among 16 states in Germany. It is 56 kms from Cologne. 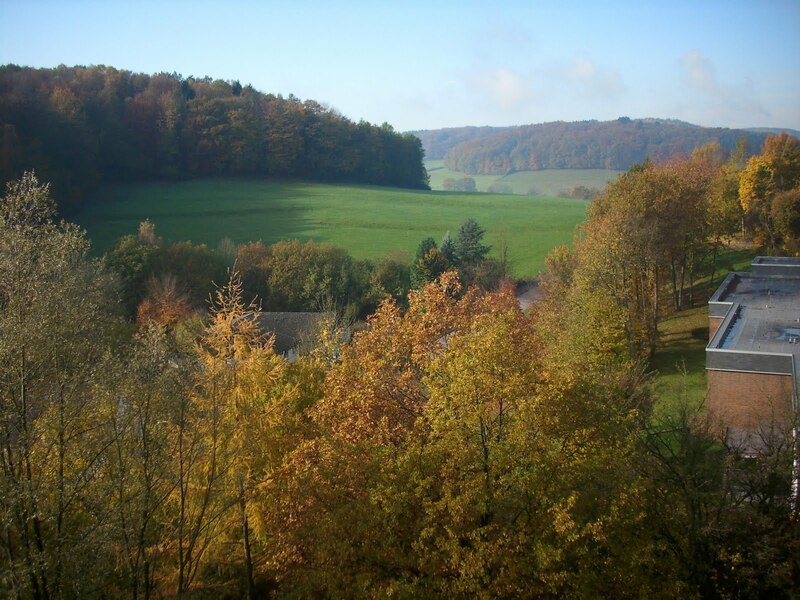 In front of the akademie is a forested and open grassland area, very serene and beautifully-landscaped. 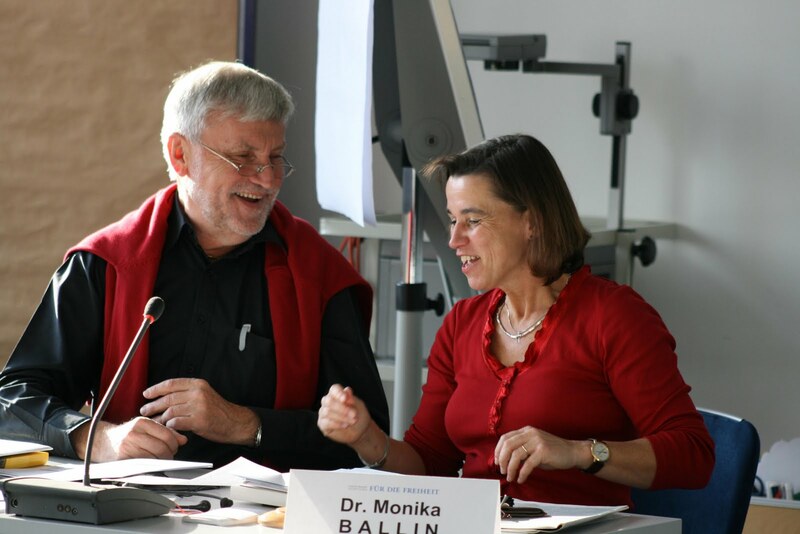 Our cheerful and very intelligent moderators were Dr. Monika Ballin and Dr. Arno Keller. They really have a good grasp of the philosophy of liberalism -- its emphasis on individual liberty, the principle of subsidiarity and the goal of a lean and limited government. They also smiled a lot. The Director of the academy is Birgit Lamm. A tall and soft-spoken lady who by now, has hundreds of friends from around the world, alumni of the academy. I am curious what Birgit would be writing because she tends to listen more than speak. So I guess her brains are full of different inputs and impressions of the participants and what those are saying. Four of us were from South America -- Argentina, Paraguay and Venezuela. They speak very little English, but we have two lady translators who would give simultaneous translation during the lectures. We wear the headphones when our friends from S. America would speak to listen to the translators. It's not all lectures and group dynamics, of course. We also have good time, in the evening, usually starting around 8:30pm. We gather in the lobby and just have a chat with each other, or we sing and dance. There is a piano in the lobby. Our Argentiian friend, Marcelo, played the piano and the guitar. They may not speak good English but they know and sing a number of songs by The Beatles, Billy Joel, Michael Jackson and other known Western musicians. Of course we also hum along with their Spanish songs and beat to their fast dance. Ahh yes, we put our country's respective miniature flags in front of us everyday during lectures. The sight adds color and symbols to the participants. Some of us also were not that fluent in English, so we have to listen more attentively. 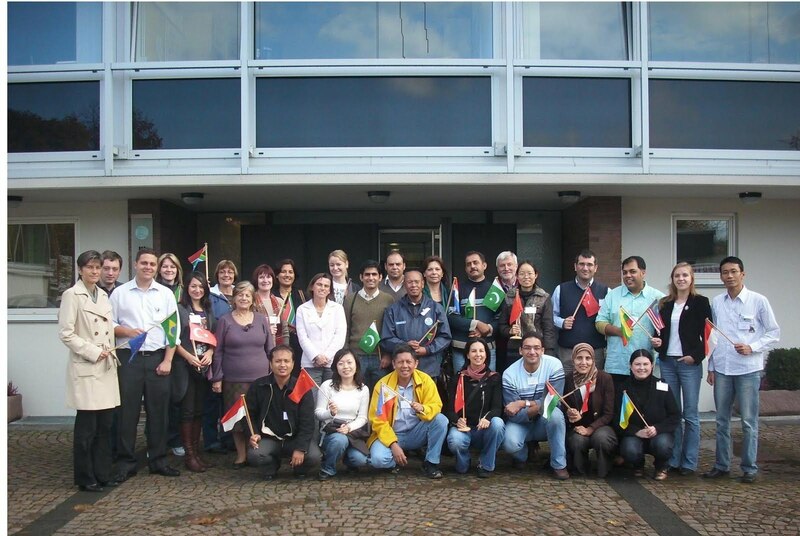 Another view of the participants. One side of the lecture room is facing the woods. It was nice to go out there during break time and noontime, feel the tolerable cold. We also had some guest lecturers. Here, Mr. Uwe Ufer, a City Mayor near Gummersbach. 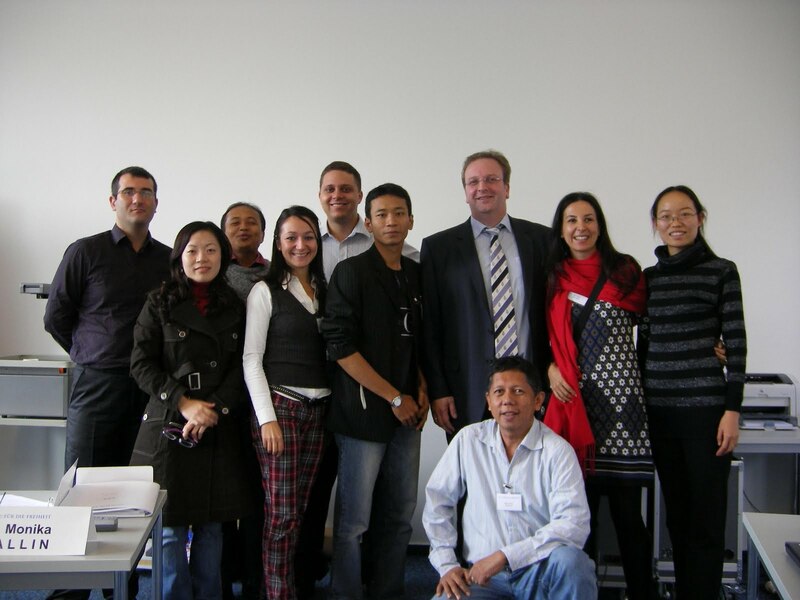 Uwe was an independent politician who did not believe in belonging to any political party and wanted to focus his effort and time with the citizens than allocate additional time dealing with party matters and politics. More pictures and stories later in Part 2 of this subject. TOKYO — The Japan Meteorological Agency warned Wednesday of more cold days ahead during the next couple of weeks or so, as wintry weather is likely to continue mainly in Tokyo and the central and western regions, possibly affecting traffic and farming. A wintry atmospheric pressure pattern has been frequently seen over Japan since about Dec. 25, bringing cold air intermittently, the agency said, adding that areas facing the Sea of Japan have also had much snowfall. During the period between Dec 25 and Jan 18, the average temperatures in major cities were lower than in a normal year, such as 5.5 C in Tokyo, down 0.8 C, 3.1 C in Nagoya, down 1.8 C, and 4.7 C in Osaka, down 1.7 C.
The city of Matsue in Shimane Prefecture logged an accumulated 103 centimeters of snow, four times more than in an average year. Freezing rain and snow continue to hit southern China, while parts of northern China are experiencing bitter cold. One part of Inner Mongolia has recorded lows of minus 46 degrees Celsius for the last 8 days. More snow and rain hit southwestern China, where temperatures plummeted by as much as 11 degrees Celsius. Icy rain is expected to hit the provinces of Guizhou and Hunan. In Guizhou, 1,300 passengers were stranded after Guiyang airport cancelled dozens of flights due to the freezing snow, state television reported. An unusual cold snap has prompted authorities in South Korea to impose heating restrictions in buildings, as the demand for electricity soars. Temperatures have plummeted across North Asia, hitting a decade low of zero degrees Fahrenheit in Seoul over the weekend, and officials say the freezing weather is likely to last for the rest of the month. The cold weather has also hit Seoul's main transport network, with subway lines halted by malfunctioning overhead wires. The China Post news staff and CNA -- Aside from low temperatures, the cold front also brought hoards of patients into the emergency rooms of several hospitals in Taiwan over the weekend for an array of ailments surprisingly not related to the common cold. Most of the patients were suffering from chronic diseases, said a doctor at Linkou Chang Gung Memorial Hospital in New Taipei City on Sunday. Nearly 600 patients were reported at the hospital's emergency room the previous day, about 33 percent more than usual, he added. MAHA SARAKHAM, 12 January 2011 (NNT) – Cold weather still covers many areas in the Northeast of Thailand, as the mercury has reportedly dropped to just 10 degrees Celsius. In the northeastern province of Maha Sarakham, 13 districts have already been announced cold disaster areas. The province is forecasted to undergo its coldest winter in 30 years as the temperature now plunges to as low as 15 degrees Celsius at night with strong winds. Local residents, especially those lacking winter clothing, have been warned to take special care of their health. According to the report, there are currently about 1,000 new patients infected with a cold every day in the area. Frost has happened at the highest point in Thailand- Doi Inthanon Mountain just north of Chiang Mai. The cold weather has lead to 35 provinces being declared cold weather disaster zones. For a farang, the weather in a place like Chiang Mai would still be warm- the temperature range for this week is 16 C to 31 C (60 F = 16 C). But, Thailand- and Thai people- is not equipped to handle the cool temperature. Hanoi - Cold weather has prompted hundreds of schools in northern Vietnam to close for the past week, authorities said Tuesday. On Tuesday, hundreds of schools closed as the temperature in most of northern Vietnam fell below 10 degrees Celsius. In mountainous areas, including the popular tourist site of Sa Pa, the temperature fell to minus 1 degree Celsius, preventing tourists from leaving their hotels. Temperatures rarely fall below freezing in Vietnam. Hospitals were overcrowded as the number of patients, especially the elderly and children, was increasing fast, mostly with respiratory problems, said Vu The Hung, director of Trang An hospital in Hanoi. In the backdrop of chaotic weather condition, the untimely rains fell for a number of days in some regions and states in Myanmar in the cold season of 2011. Although early 2011 is the late winter in Myanmar, it rained untimely during the onset of the cold season in December 2010. Therefore, it can be said that it rained untimely for the second time during the cold season. LUCKNOW, India – Near-freezing temperatures have killed more than two dozen people in northern India in recent days despite government efforts to distribute blankets and medicine to the poor, an official and a news report said. For the Philippines, I have a separate series, the latest is Global warming hits the Philippines, part 2. Remittances by overseas Filipino workers (OFWs) is an ever-increasing resource for the Philippine economy. Remittances were $10.7 B in 2005, $17.4 B in 2009, and is expected to possibly reach $20 B in 2010, but official figures are not available yet. Most remittances are spent for the basic needs of the family members here -- building a new house (or improving an old one), children's education and family healthcare, daily sustenance. But a growing share is also spent on local investments and micro capitalism, like putting up small businesses. 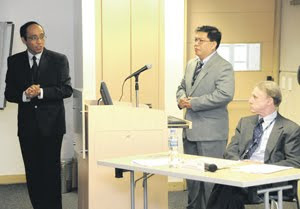 TWO Filipino professors have won the top prize in an international competition on research on development held in Bogotá, Colombia. “Nearly 4,300 researchers representing more than 100 countries throughout the developing and transition world have participated in this competition to date. Nearly $2 million has been distributed in prizes and travel to finalists and winners." The teachers said they wanted to test the tool, Ricart, on how remittances by overseas Filipinos to two fourth-class rural municipalities can be best directed for investment and development finance. Alvin and his insitute in UST, the Social Research Center (SRC), has partnered with MG Thinkers in hosting two events in the past. 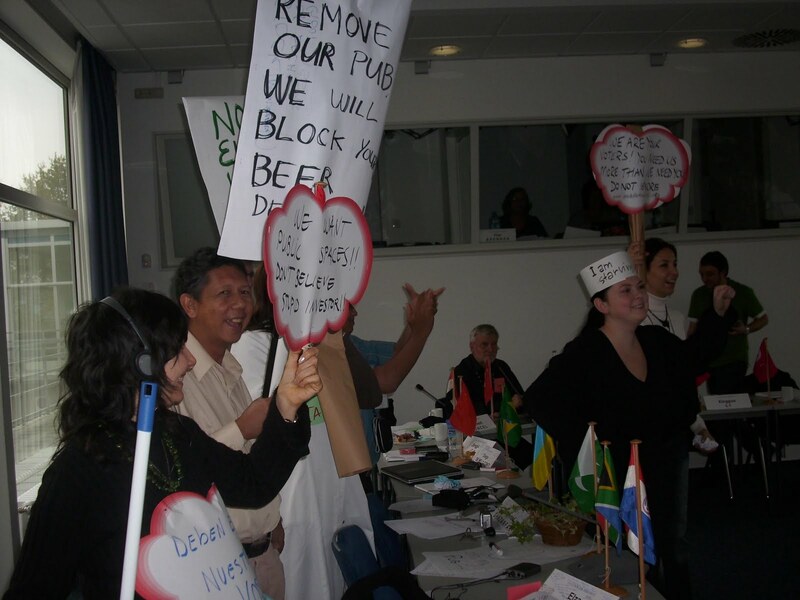 In September 2009, two friends of MG Thinkers in the liberty movement, Alec van Gelder (then of IPN, London) and Barun Mitra (Liberty Institute, India) were in Manila to attend the Economic Freedom Network (EFN) Asia conference. A day before the event, the two gentlemen gave a talk at UST in the morning, then at the University of the Philippines School of Economics (UPSE) in the afternoon. 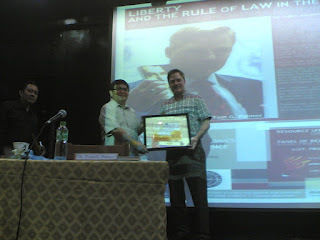 Then last July 2010, Dr. Tom Palmer, VP of the Atlas Economic Research Foundation (Washington DC, USA) came to Manila for a series of lectures arranged by MG Thinkers. Tom's biggest audience was in UST, an auditorium was filled with many students as Tom talked about the rule of law and the recent global financial crisis. In this picture, Alvin giving an award to Tom. Dr. EJ Lopez of the UST Economics Department was looking. With this global award, the $30,000 cash prize with it for a very specific project of directing remittances to productive micro investments in two poor municipalities in the country, Alvin and his colleague are showing what really good civil society leaders can do to help the poor even without tax money involved. My friend, Malou Tiquia, was victimized by "bukas-kotse gang" just recently. Below are her postings in facebook. I am posting this with her permission, to help warn other people. The picture below I got from one facebook user, just to provide an image of those thieves. So guys, feel free to forward this story to your friends too. If you park along Visayas Avenue be careful in leaving things inside your vehicle. I was just out of range for 5 minutes and bukas kotse gang got everything inside my vehicle including things of no use to them. Problem PNP is so inutile! "marami nang nagyari" pero wala silang ginagawa. 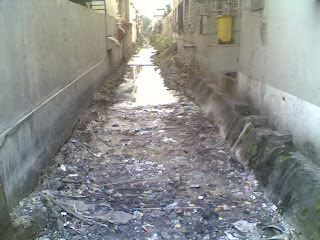 And the barangay in the area was of no help. No CCTV too. Calling on Bacalzo and Mayor Bistek! pati nga FGD report ng client ko and my notebook where I jot down notes kinuha. Make up kit tinangay, my whole bag with wallet, cards and everything, 2 laptops bec we just came from a briefing of a client ha. I just stopped to check on my beagle who was rushed to the Vet. Grabe! It was an old fiera with 2 guys pretending nasira sasakyan nila. They opened the hood tapos tapak ng tapak sa gasolina kaya di narinig ang pagbasag ng window sa likod ng driver. And I decided to drive myself this time kaya di ko kasama driver ko. talagang sandali lang. Well lighted and lugar, nasa harap ng gate ng vet, may Ferino's bibingka sa left side at sa right naman ay Tapa King at Pizza Hut. Kaya ingat. Hear Gaita Fores' vehicle was carnapped in Makati, Ano ba naman! wala na talagang pinipili well lighted at guarded o sa dilim. Lesson learned: 1) huwag laging handa ang bag nating kababaihan na lahat ilalagay mo; 2) huwag magdala ng laptop na iiwan mo sa kotse kahit 60 sec ka lang na mawawala; 3) huwag ilagay sa isang wallet ang lahat ng cards - govt issues, air mileage, credit cards, etc. Ang profile daw na tinitingnan e kapag babaeng bumaba sa sasakyan at bihis at walang dalang bag, ibig sabihin iniwan ang bag sa kotse. authorities? wala lang gumawa lang ng police report para sa insurance ng sasakyan ko. Nagulat sa daming nawala at nagkwento pa na previous to my experience a DENR director loss his govt issued laptop. Bumaril na sa ere yung guard ng establishment dahil huli sa akto pero tinutukan sila...wala silang nagawa...total breakdown na ata ito! I think that thieves and criminals like them are able to operate because the police are busy with some petty things, like flagging down motorcycle drivers who have no helmets, apprehending number-coding vehicles, those turning right on red lights and other petty concerns where violaotrs are likely to compromise with a bribe. This is essentially a repost from WUWT's article yesterday, NASA Sun Spot Number predictions revised again. The warming fanatics do not have this kind of literature -- the Sun and its effect on planet Earth's climate. That is why they cannot comprehend climate cycles of warming-cooling-warming-cooling. We are in a period of global cooling but they insist that "global warming causes the current global cooling." How idiotic that logic can be? Brace for a prolonged cooling folks! Earlier projections were a Dalton Minimum type of cooling -- about 40 years in the 1800s. With the current behavior of the Sun, it looks like a Maundeer Minimum type of cooling -- about 70 yrs in mid-1600 to early 1700 -- might happen. As a background, see these solar cycles (SC). The flat area starting from 1650 was the Maundeer Minimum where sunspot numbers (SSN) were very very low, almost zero at times. 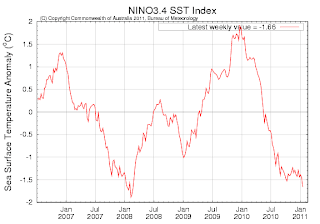 The next low SSNs in the 1800s was the Dalton Minimum. This is NASA's prediction for the current SC 24 as of March 2009 or nearly two years ago. Peak SSN would be 100 - 110 range. 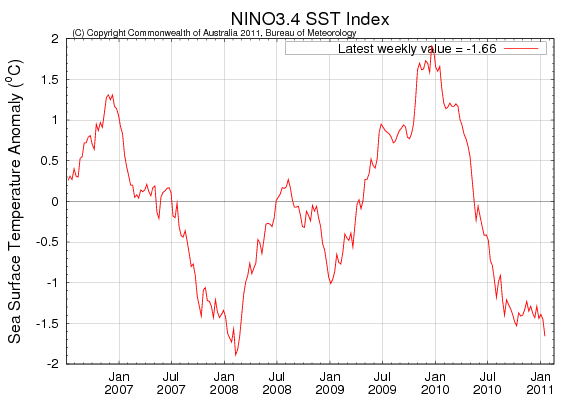 Its March 2008 projection then was a higher SSN peak of 130-140 range. And here is the actual SSN as of this month. Consequently, NASA (in particular, Dr. David Hathaway) revised downwards its prediction of peak SSN to only 59, to happen sometime in June/July 2013. And that's almost the same level shown during the Maundeer Minimum. After that solar maximum about 2 1/2 years from now, SSN will fall even lower as a new solar minimum will commence in the transition from SC 24 to SC 25. For NASA’s information, the Maunder Minimum is conventionally dated over seventy years, from 1645 – 1715, when wolves froze to death in Rhineland forests and wine frosted over in Louis XIV’s goblet in his palace of Versailles. The subsequent Dalton Minimum persisted over forty years from c. 1790 – 1830, marking the final cold-snap of Earth’s 500-year Little Ice Age (LIA) before the precipitate rebound that began c. 1890 – 1939 (fifty years), alternating warming with cooling phases in 1940 – 1979 (forty years), 1980 – 2009 (thirty years), now 2010 – 2029 (twenty years). On this basis, after about 2030 the global thermostat –apparently there is such a thing– will shake itself to pieces, simultaneously attempting to switch both On and Off. As cyclic wavelengths diminish, so weather-events’ amplitudes and frequencies will increase in proportion. Though chaotic, non-linear, complex dynamic systems are inherently unpredictable in detail (Edward Lorenz, 1960 – ’64), cyclical phenomena in context of long-term secular trends are well-defined. Yes, global temperatures have been increasing since the LIA petered out from c. 1890; indeed, the thirty-year period 1980 – 2009 represented a cyclical warm-phase. But this involved no anthropogenic CO2 nor any other “forcing mechanism,” and populations now face an end to Earth’s “long summer,” our current 12,250-year Holocene Interglacial Epoch long overdue for a resurgence of median 102,000-year Pleistocene Ice Time. Green Gangsters such as Briffa, Hansen, Jones, Mann, Trenberth et al. join Luddite sociopaths like Paul Ehrlich, John Holdren, latterly Keith Farnish, in abominating post-Enlightenment industrial/technological civilization and all its works. Over the next several generations, their brutal handiwork will likely result in mega-deaths. SC24 has been flat for 12months, it is possible that we have seen the peak of activity already judging by the refusal to get into the normal ramp up, cycle max whenever that happens could be just like today. Its still early days but the revised NASA predictions lead one to think SC24 is a goner. The SC5/SC24 comparison graph is the one to watch with SC24 looking like it might be weaker than SC5. Drugs and medicines are what a person takes when he/she is sick. Vaccine is what a person takes (via injection) when he/she is well and not sick. The former is curative, the latter is preventive. That's the big difference between the two. Thus, it is somehow understandable that some people, or many people, will have "vaccine distrust." They or kids' parents suspect that there might be some side effects, in the short-term or long-tern, if one will take certain substances into the body even if he/she is not sick. My 4 years and 3 months old daughter used a similar reasoning when we took her for to her pediatrician about 2 weeks ago for her vaccination. She argued, "Papa, I'm not sick. I dont want to see a doctor. The needle is painful." And she really protested upon seeing the vial even if she did not see the needle yet! Global efforts to eradicate polio were hit by a year long halt to immunisation in Nigeria in 2003, when radical Muslim clerics and some doctors raised unproven concerns about vaccine safety, allowing the disease to spread. Controlling and preventing disease outbreak is one important function of government. This is unlike preventing lifestyle-related diseases like throat and lung cancer due to heavy smoking, liver cancer due to heavy drinking, hypertension due to sedentary lifestyle, and so on. For lifestyle-related diseases, a growing trend in many countries around the world now, there is little role for government responsibility. The matter is better left to personal and parental responsibility. Thus, those people should get their own health insurance on top of the national health insurance provided by many governments. Vaccine distrust can be addressed by proper health education by independent health professionals, like the family pediatrician or community physicians. Taking in vaccines for the kids at young age plus healthy lifestyle as they grow old with more parental guidance and discipline, are good moves to ensure a healthy population. Makati City is the premier financial district of the Philippines, a country of about 95 million people. The tallest and among the most modern buildings in the country are found in Makati. 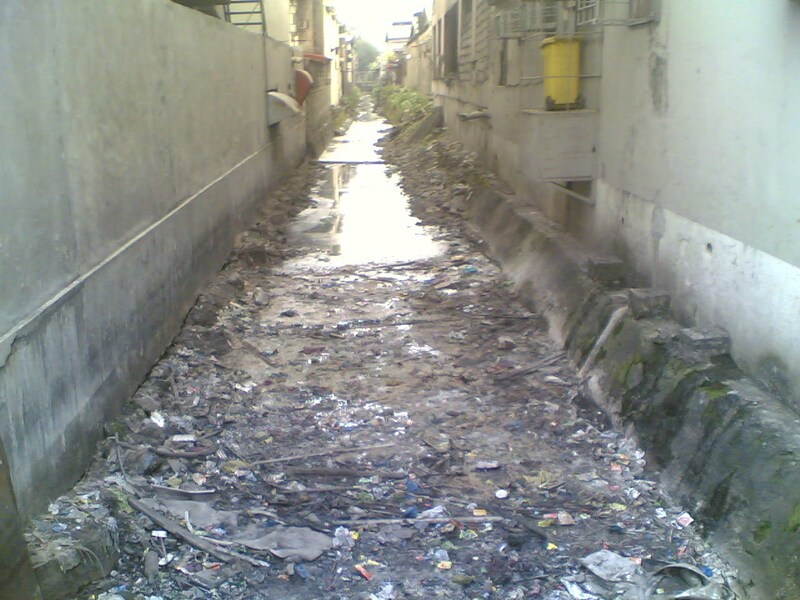 But one will be dismayed at how ugly and dirty some creeks Makati has. Like this one, at the back of People Support building in Ayala avenue, at a bridge in front of Makati Medical Center (MMC). MMC is one of the most modern and most expensive hospitals in the country. I took this and the next 2 pictures last weekend. 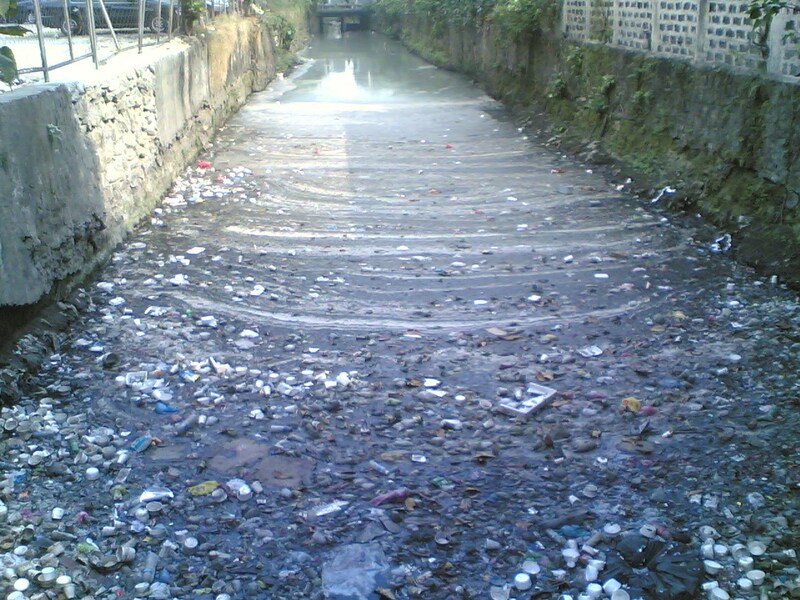 Huge amount of solid waste are deposited behind this bridge with metal grilles to prevent the solid waste from moving to the other side of the creek, which will go towards Amorsolo St. 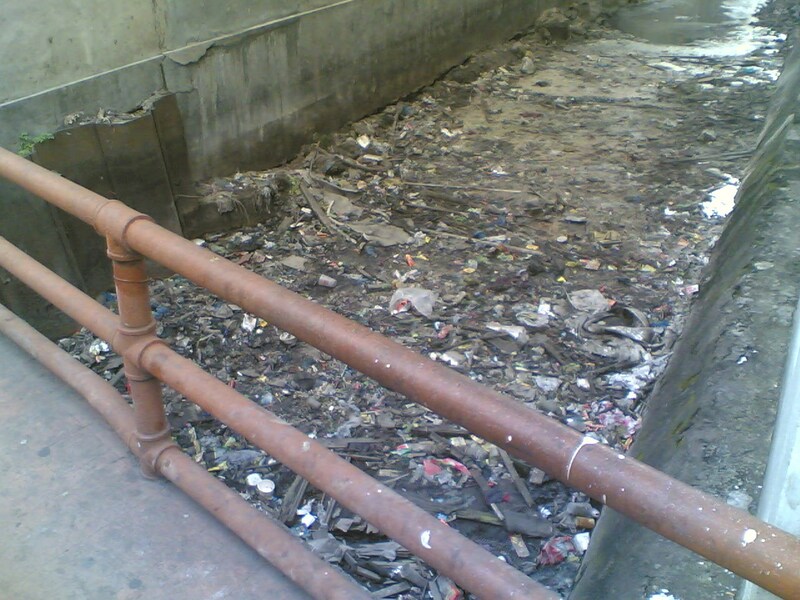 The City government would sometimes send a backhoe and a truck to collect this huge pile of dirty solid waste, but there is no regular and scheduled collection of the garbage. This side of the bridge is the office of the Makati Parking Authority (MAPA), one office of City Hall in charge of managing traffic along Ayala avenue and neighboring streets, and raising lots of money for the city government with various penalty fees and charges from erring motorists. There are many traffic regulations and prohibitions in Makati, especially in the commercial business district (CBD). Where there are plenty of prohibitions, there are plenty of violations, and plenty of revenue collections by the city government. 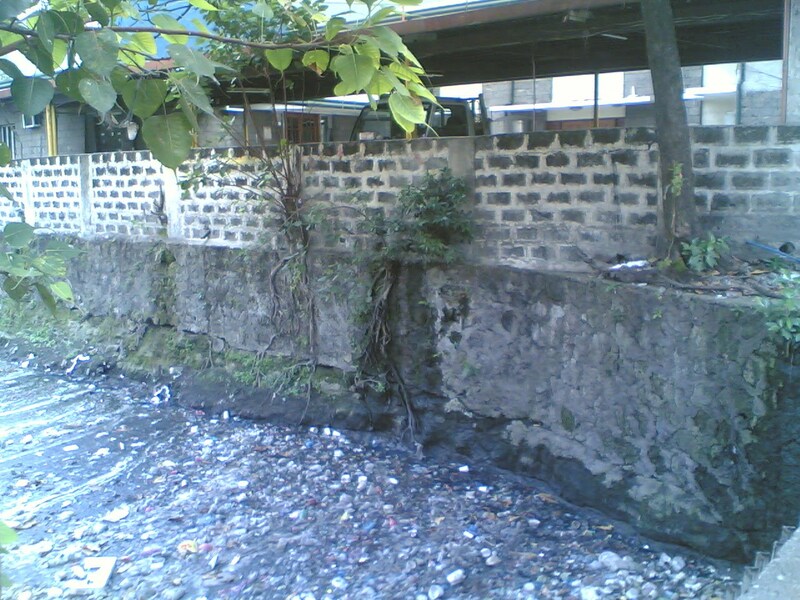 This is on a creek in Buendia or Sen. Gil Puyat Ave., near MAPUA. The creek is dirty, but at least the city government has cleaned the various branches and young trees on the creek itself, which tend to block the free flow of water during flash flood. Good work by the city government here. Picture taken yesterday. 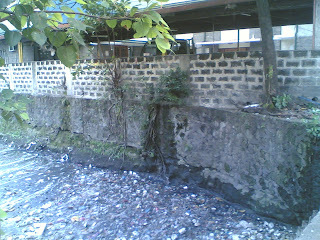 This one is on a creek between Yakal and Bagtikan streets, not far from Ayala and Buendia. The good thing is that the city government has cleaned and removed the young trees and branches of already big trees here, which can possibly host snakes and other dangerous animals. The bad thing is that this creek is not regularly cleaned. I took this picture and the next just this morning. 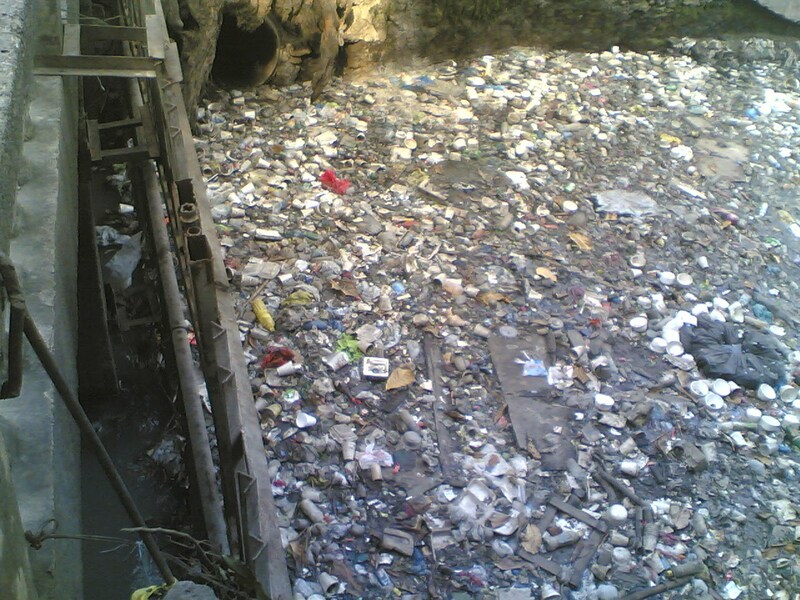 Big amount of solid waste brought down by flash flood during heavy rains. This bridge is in Pasong Tamo or Chino Roces Ave., between Yakal and Bagtikan streets. The City government also cleans this bridge and creek but often after several weeks and months, there is no regular schedule in cleaning it, so the garbage can pile up to ugly and unsanitary level. 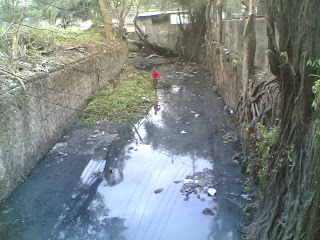 I will post more pictures and stories on dirty creeks of Metro Manila in future articles.